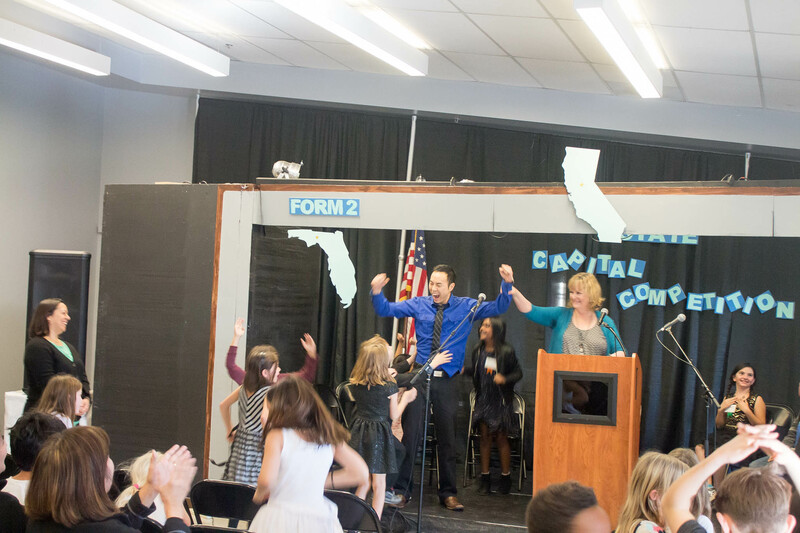 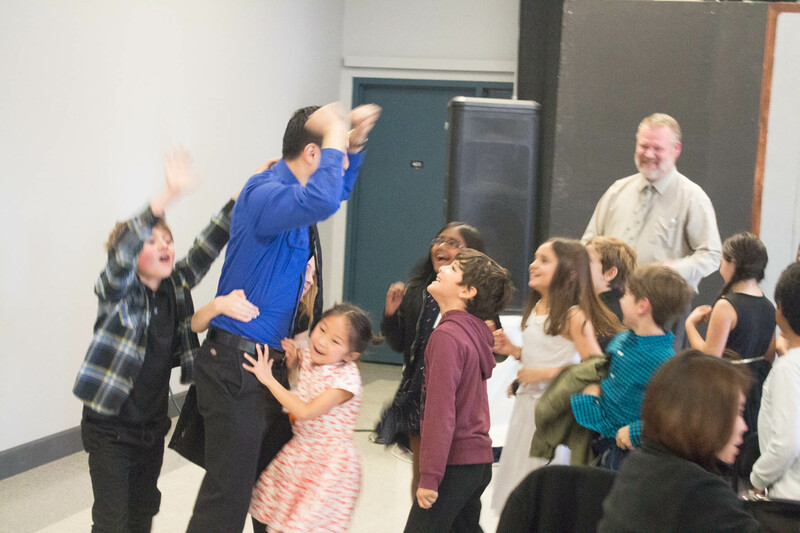 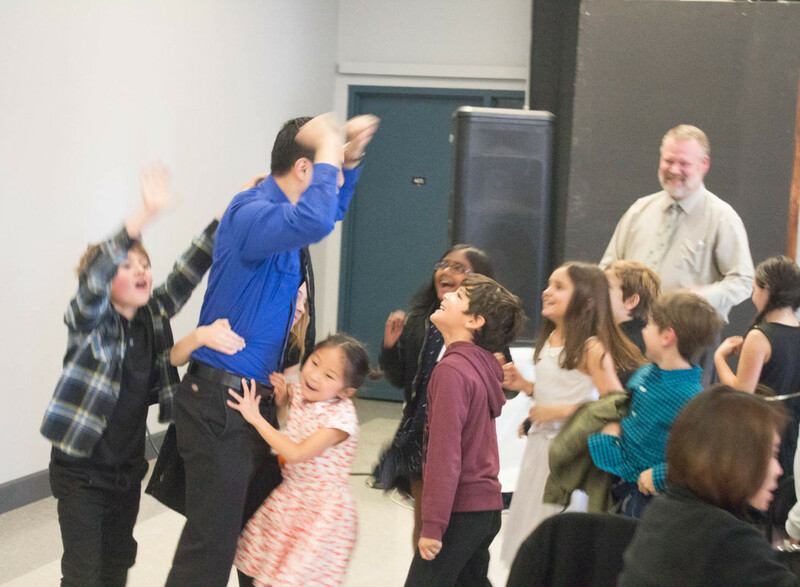 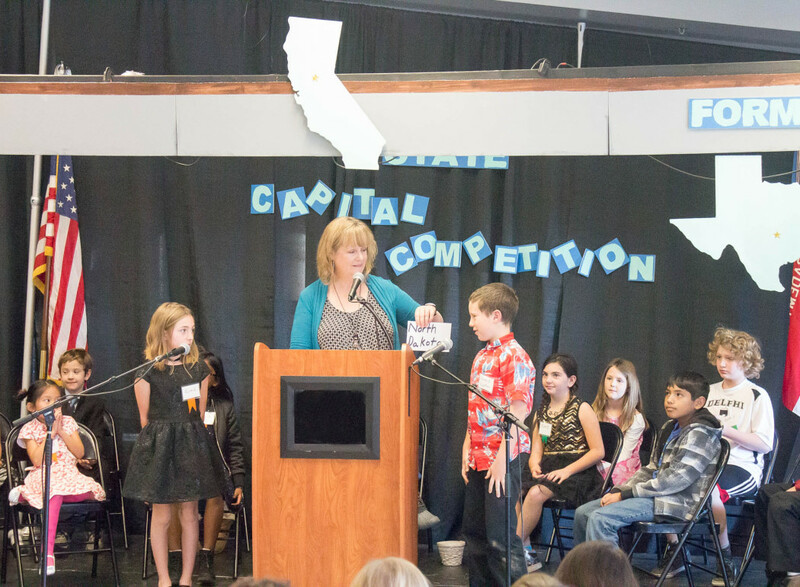 Delphi Academy of Los Angeles |Educate your Child today | Delphi LA's First Annual State Capital Competition! 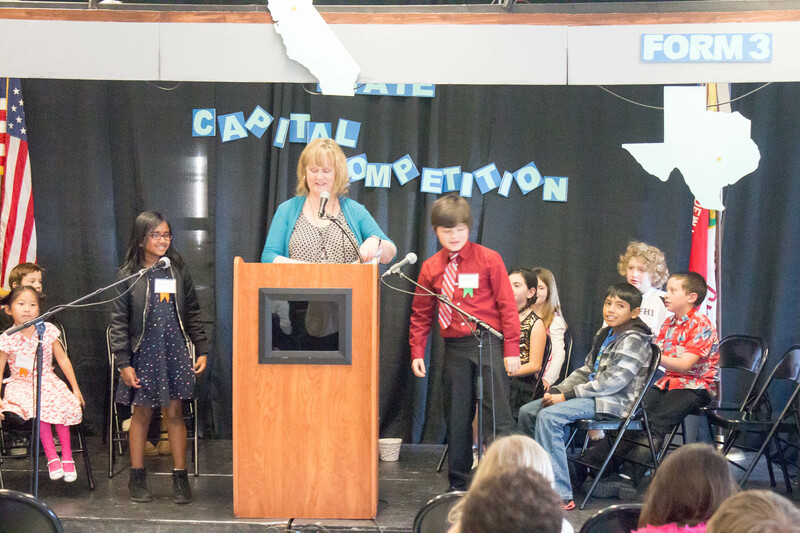 Delphi LA's First Annual State Capital Competition! 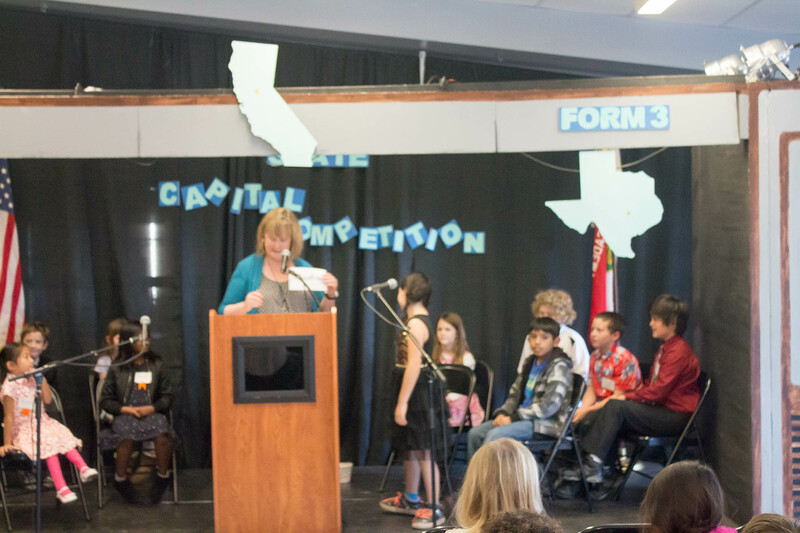 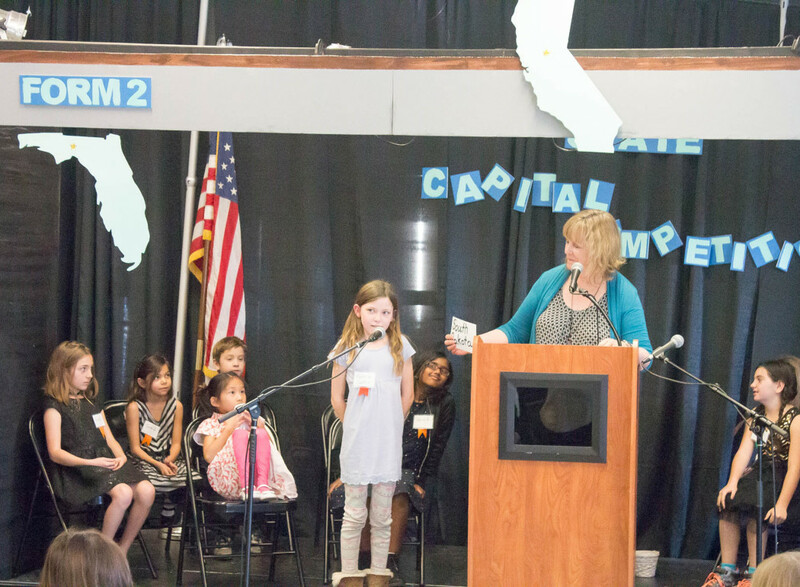 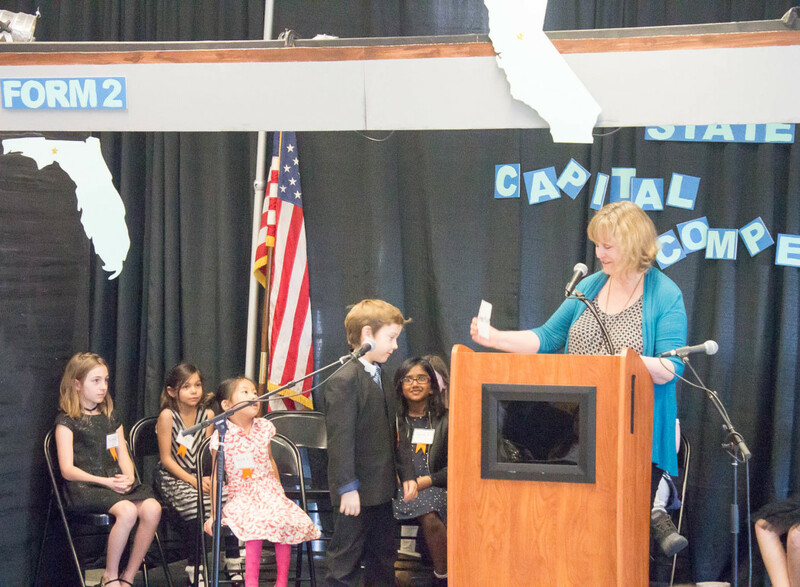 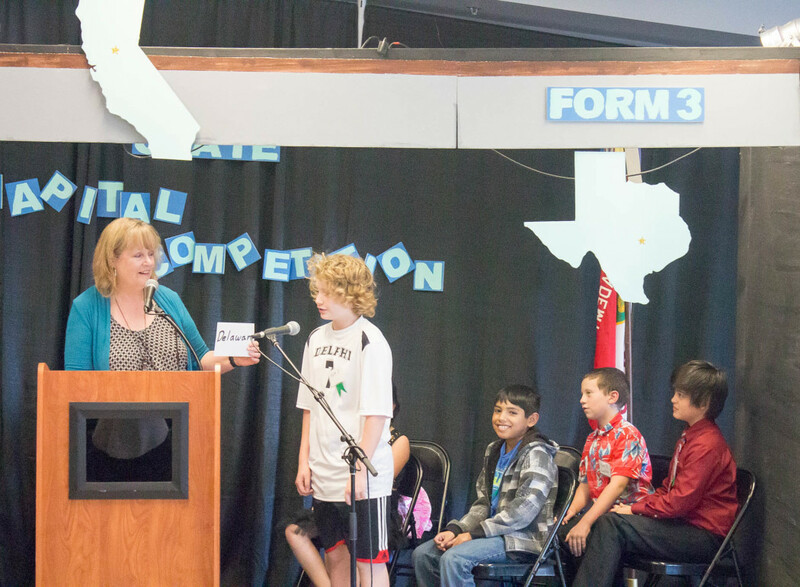 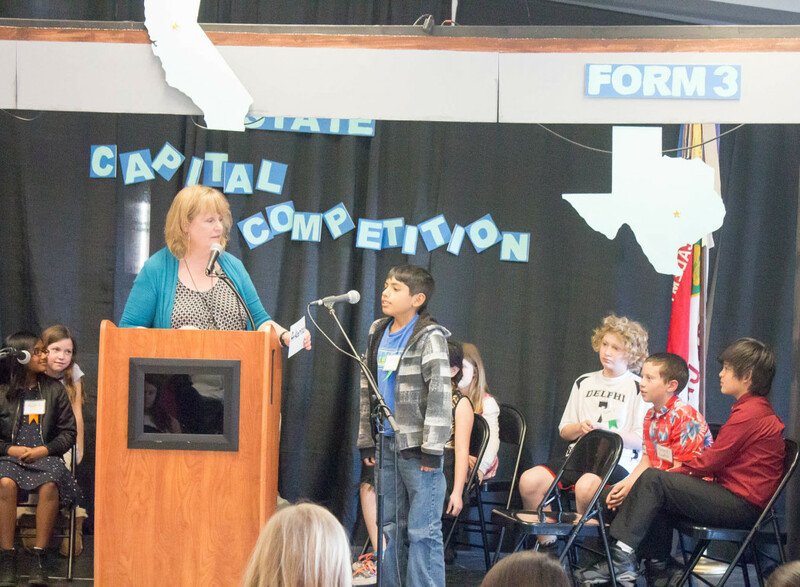 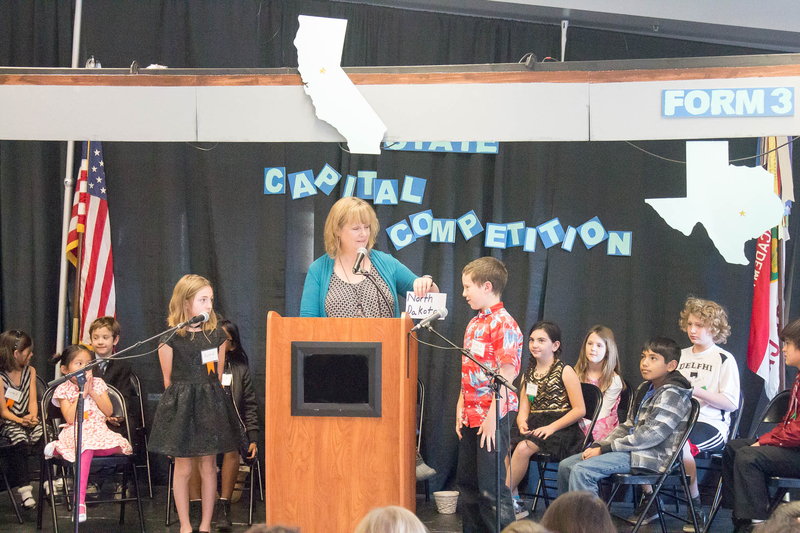 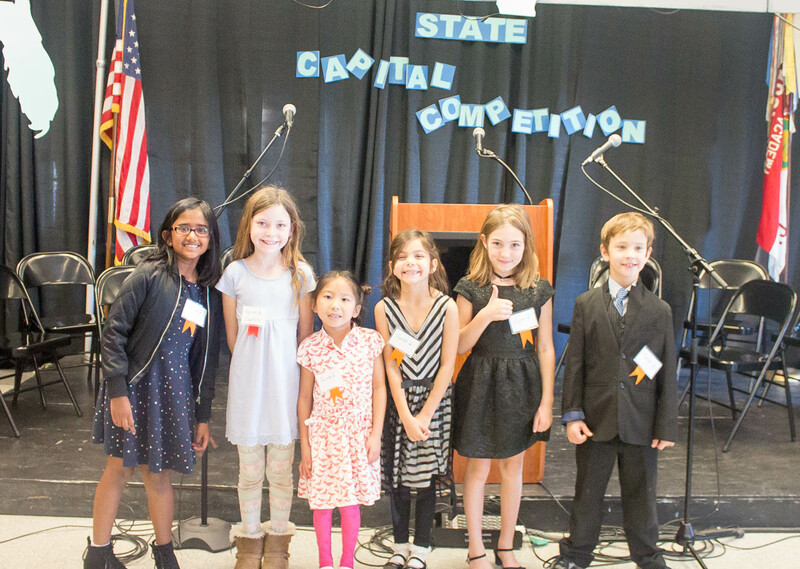 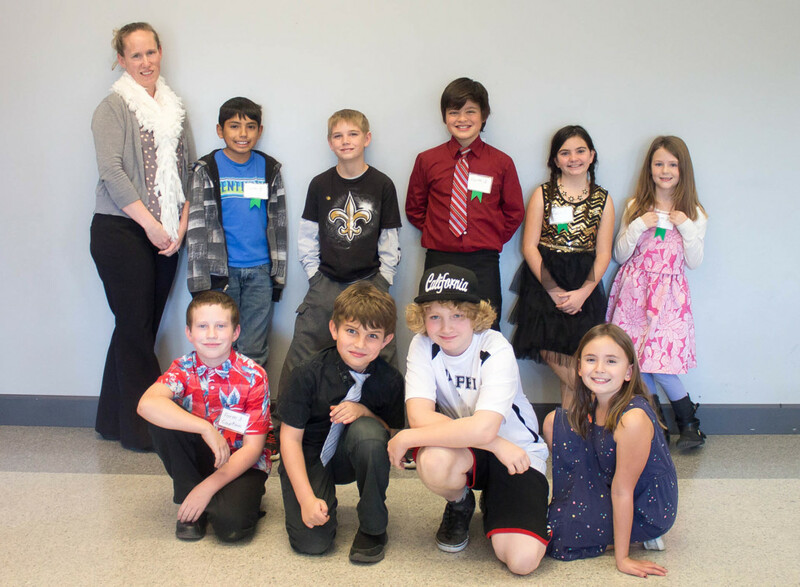 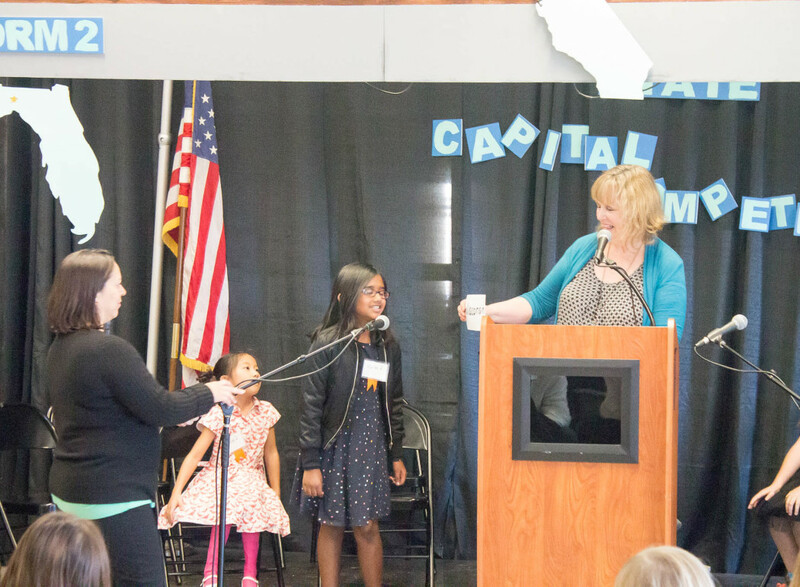 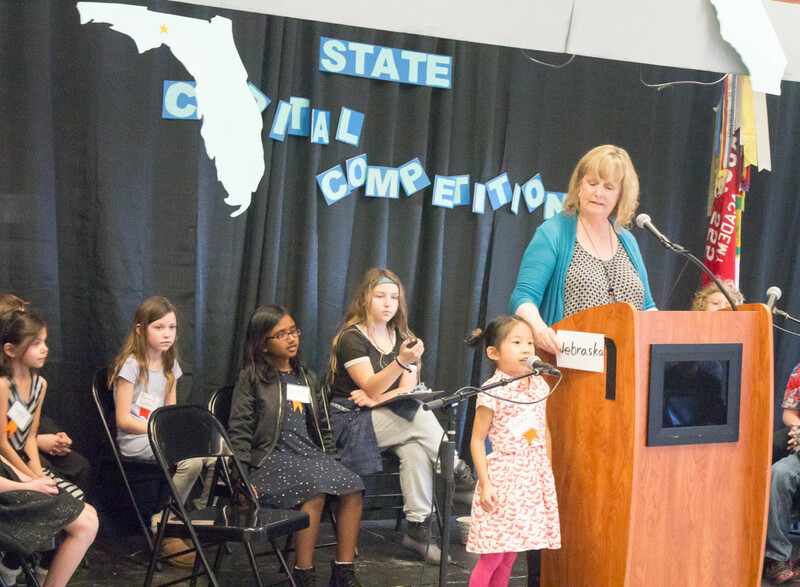 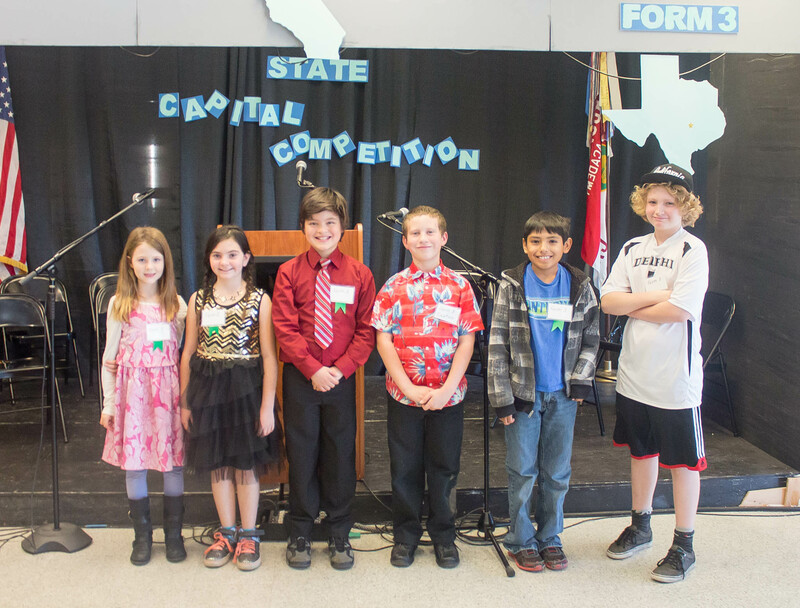 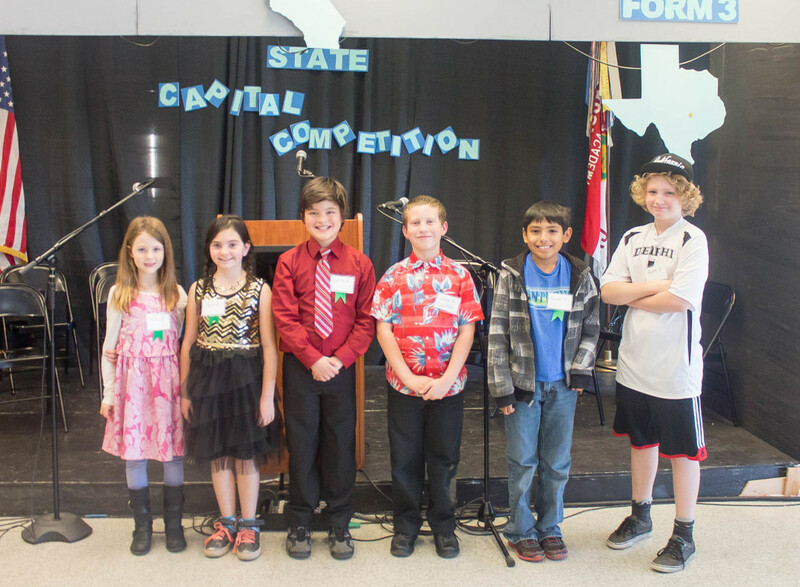 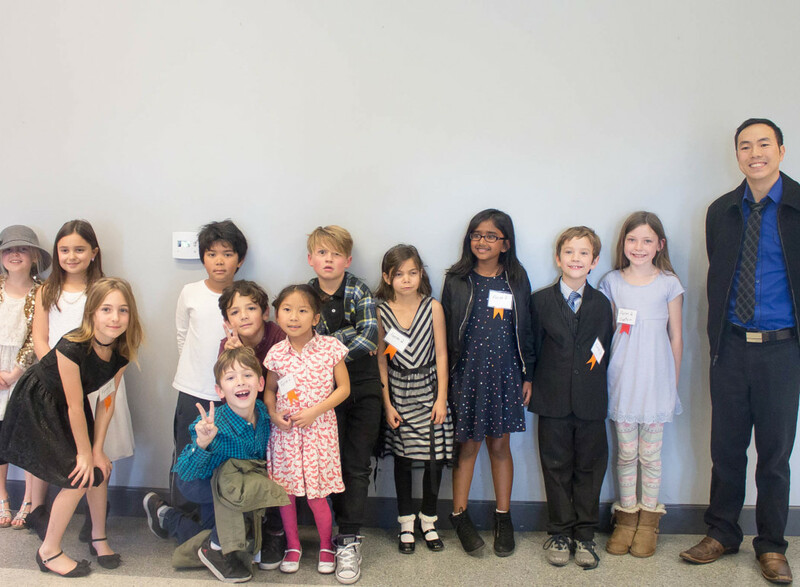 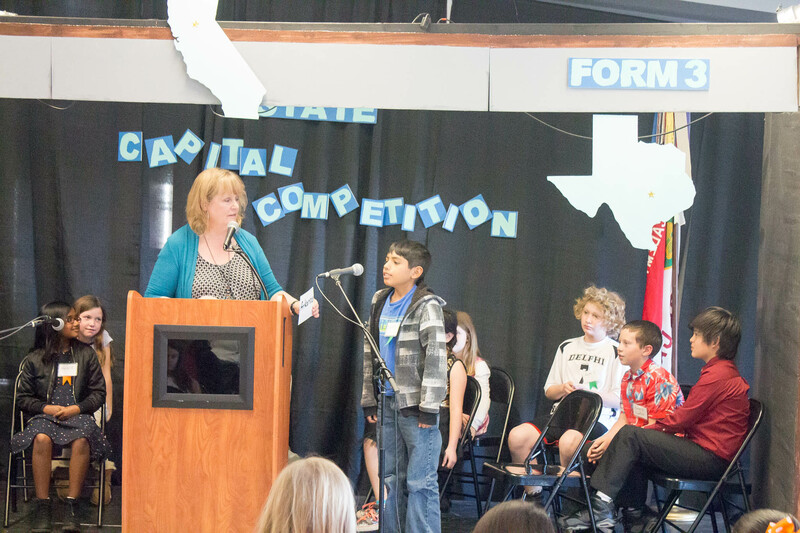 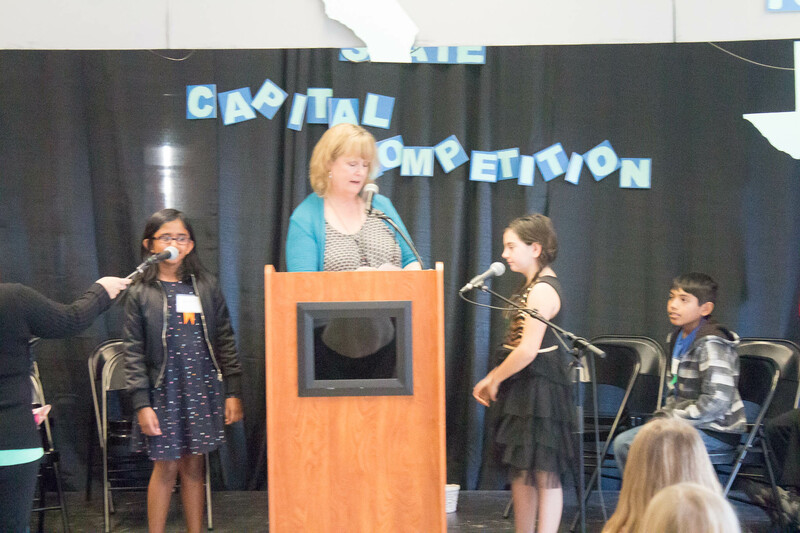 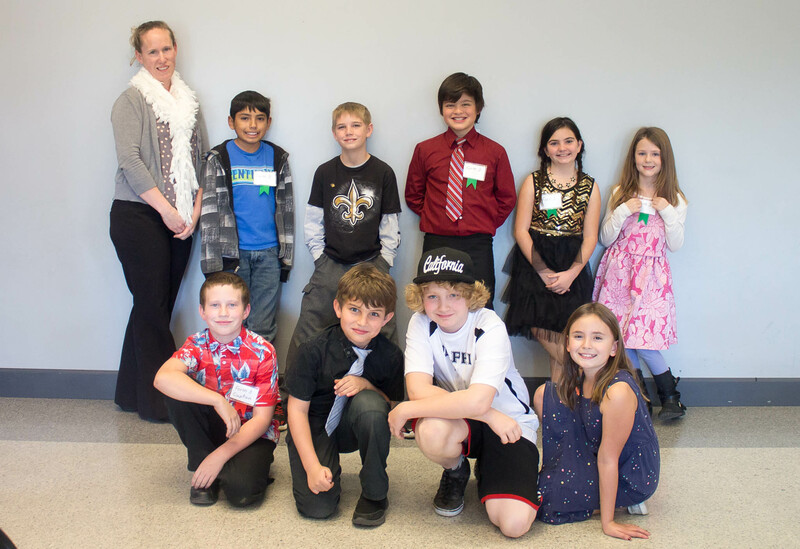 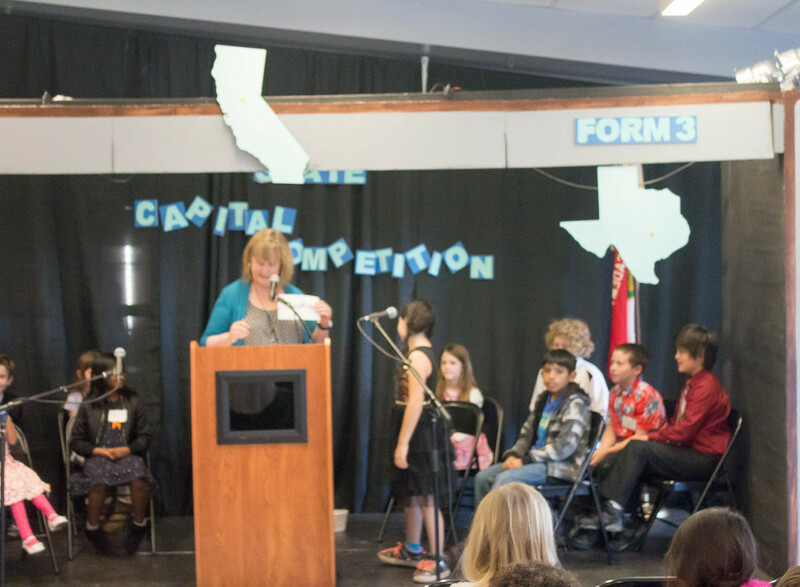 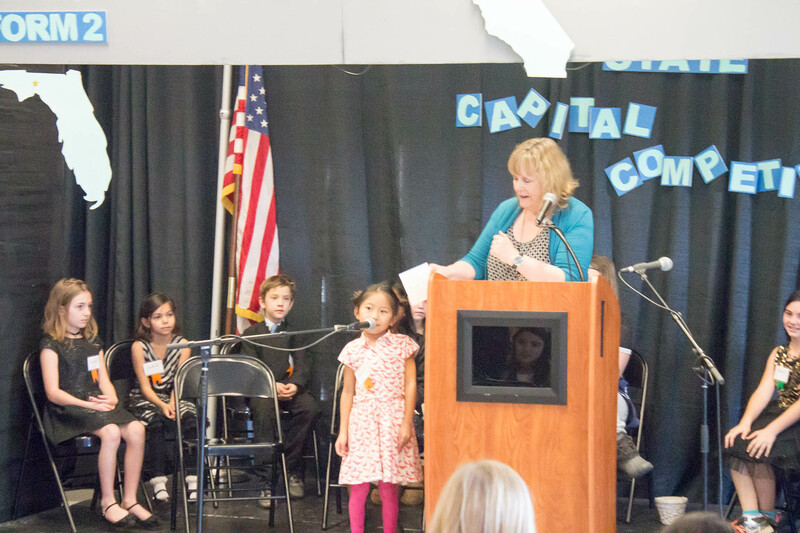 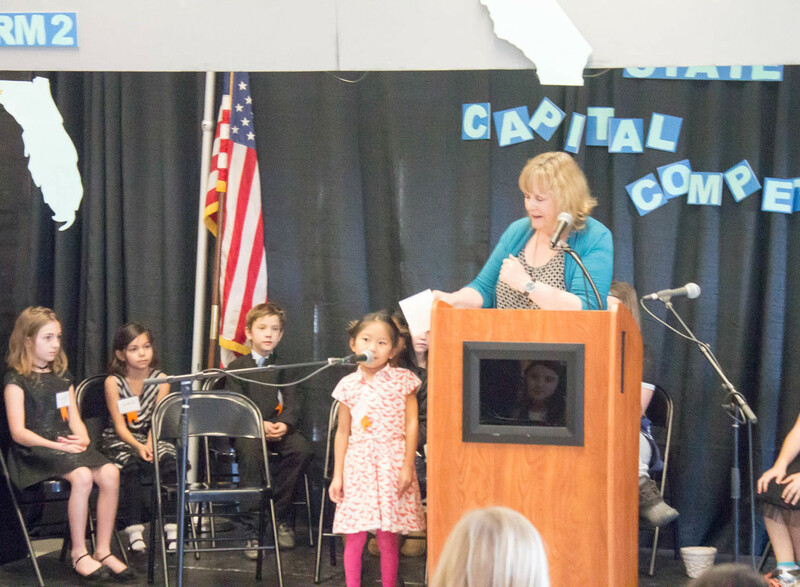 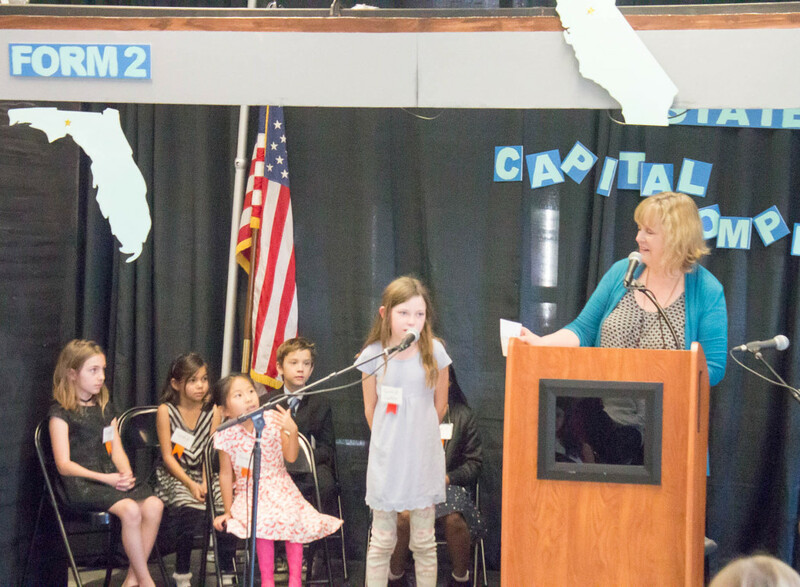 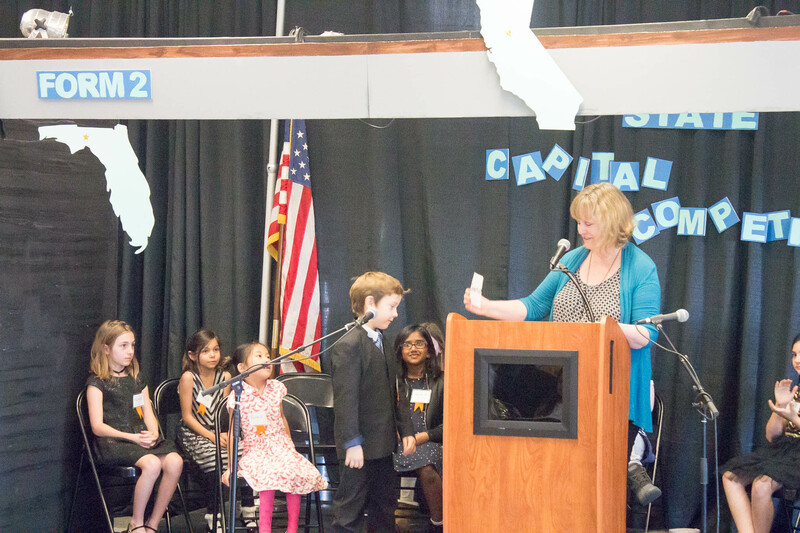 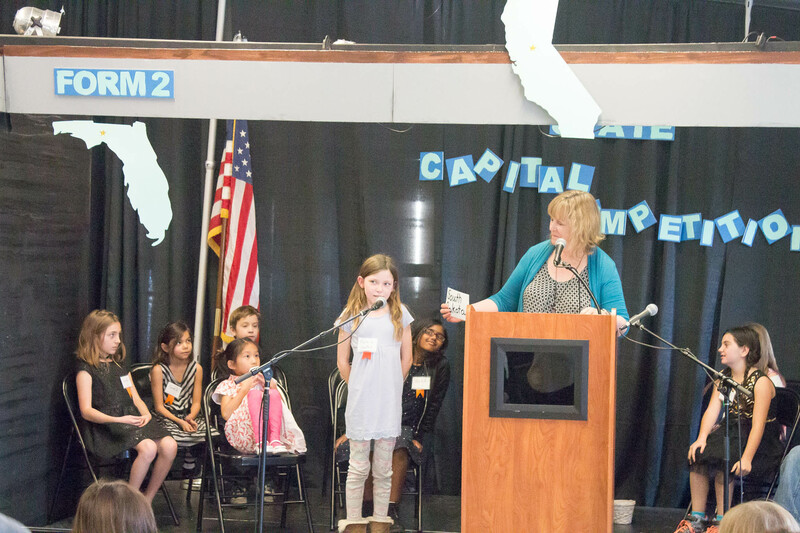 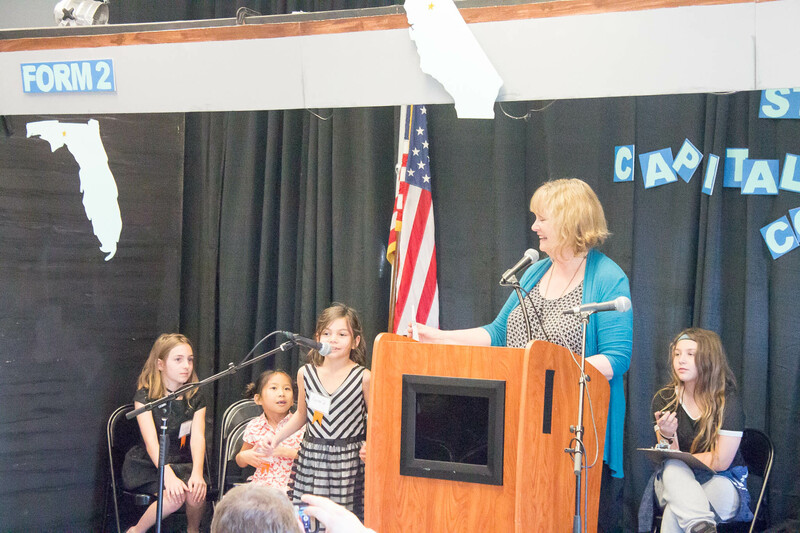 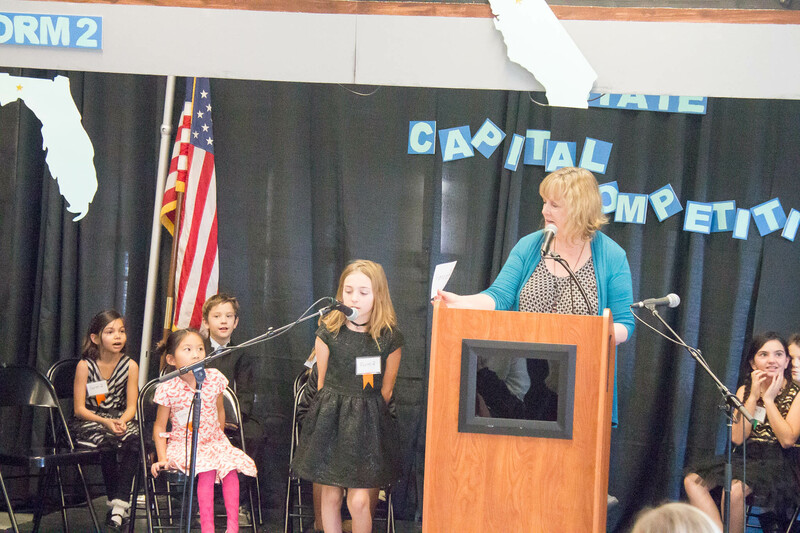 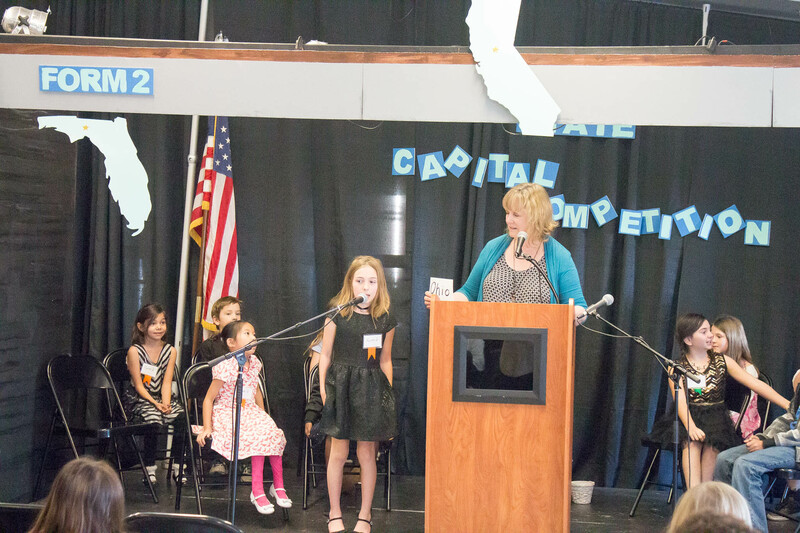 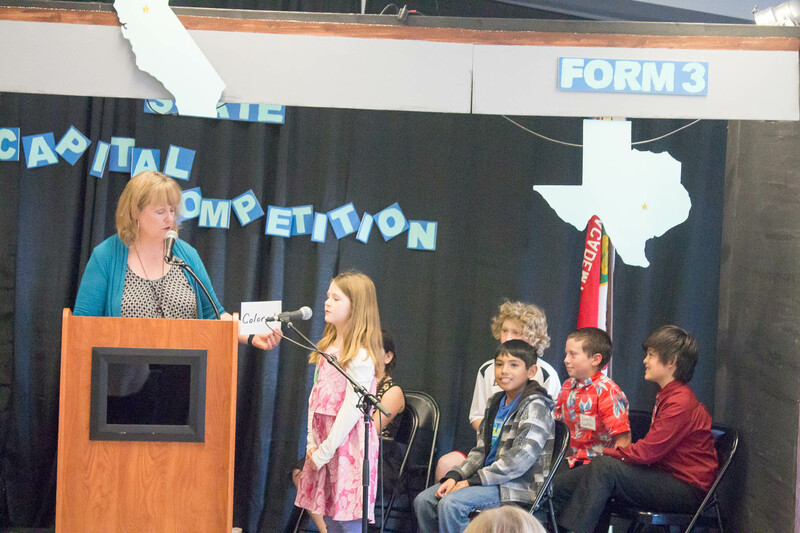 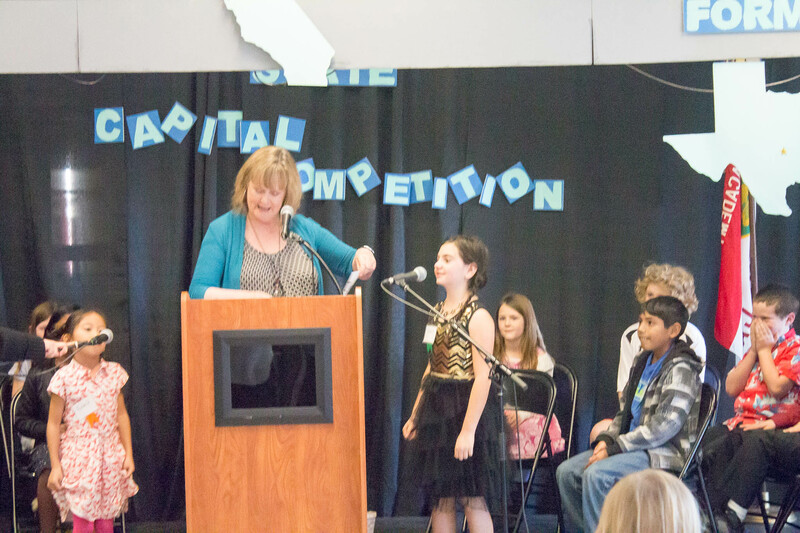 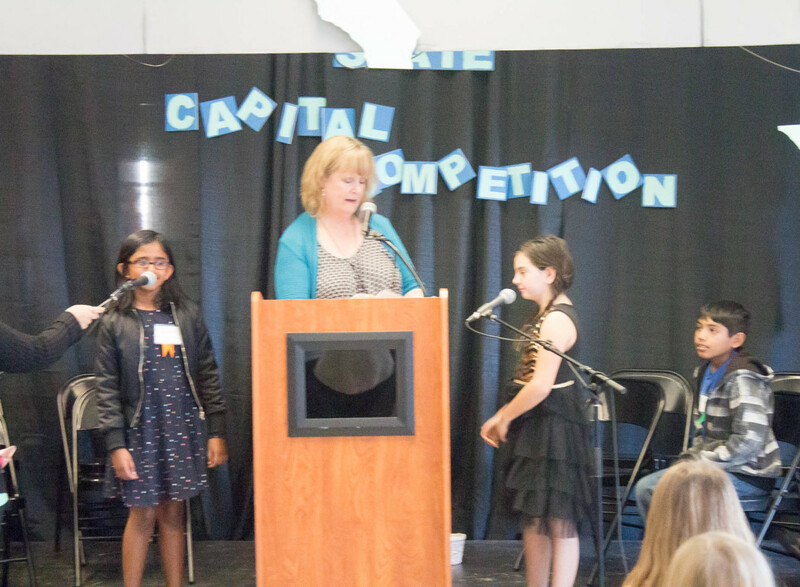 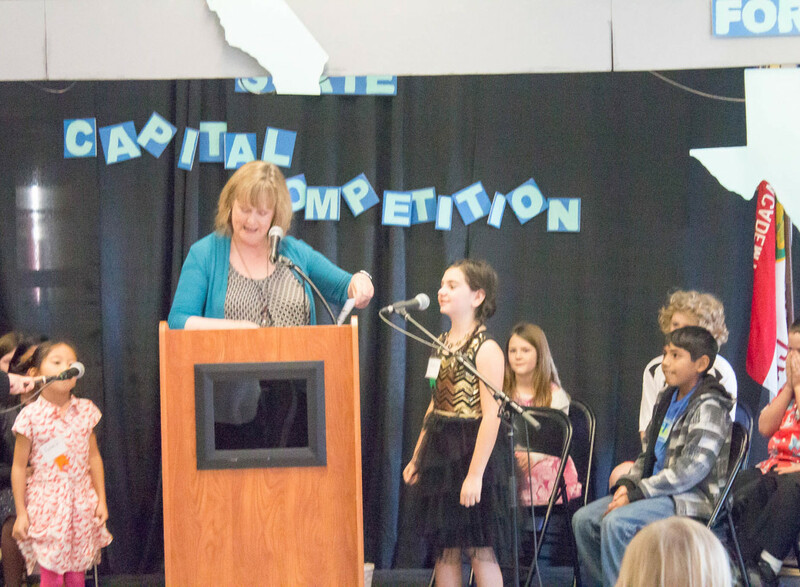 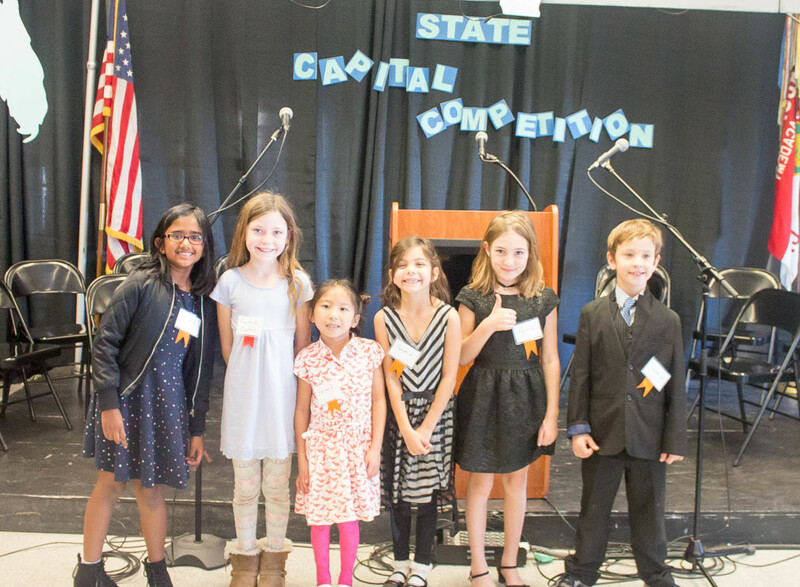 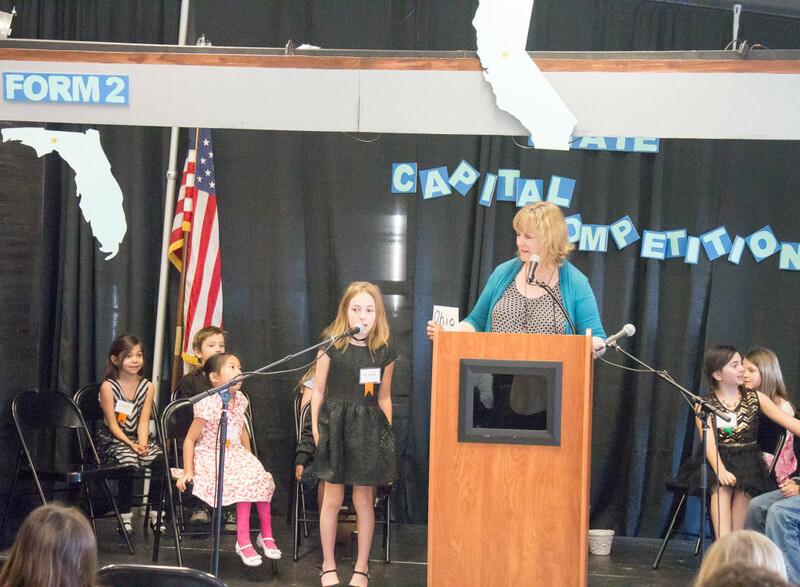 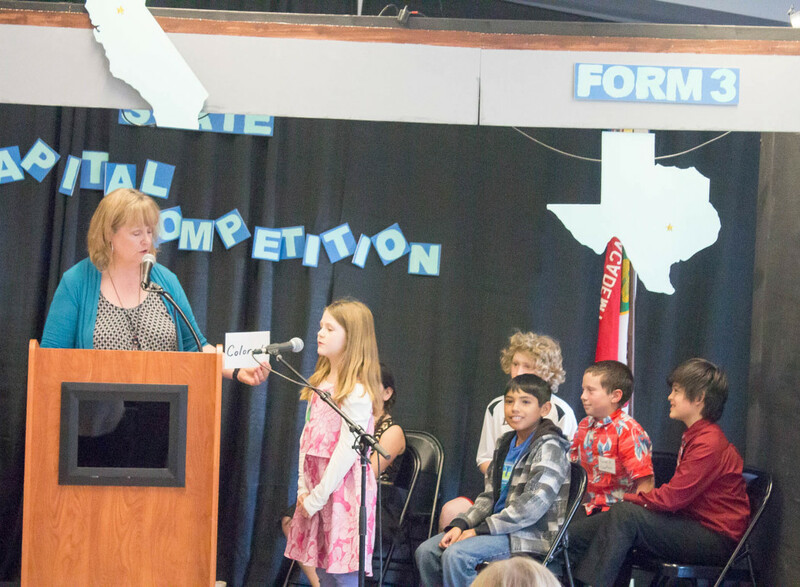 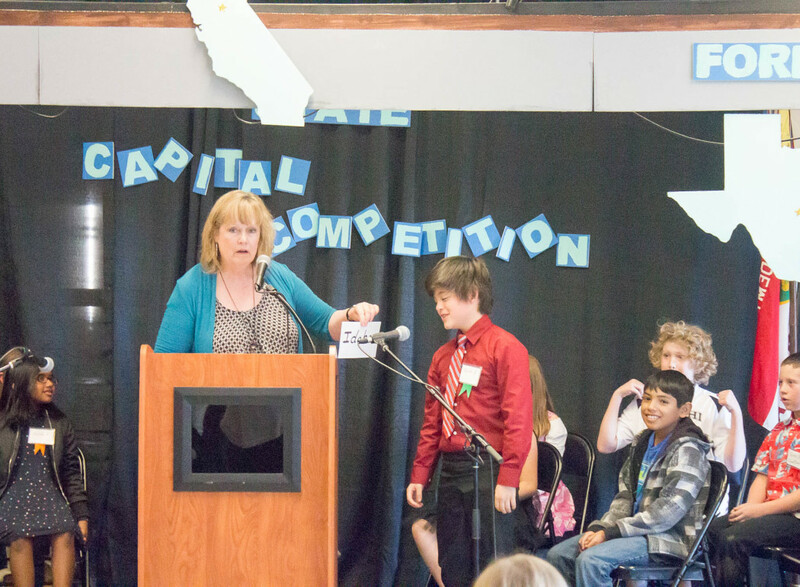 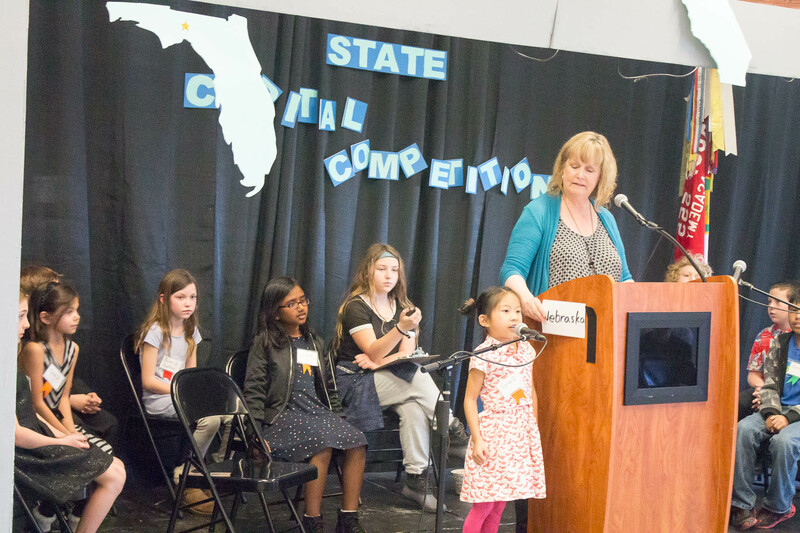 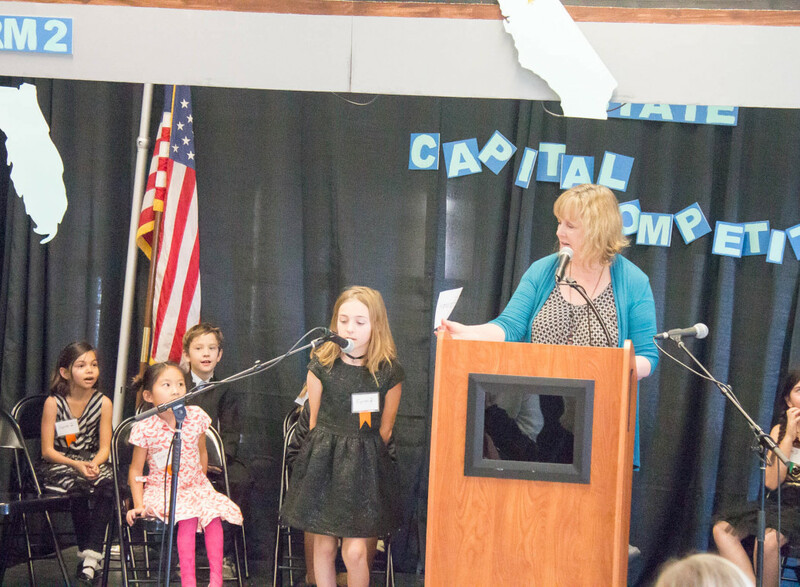 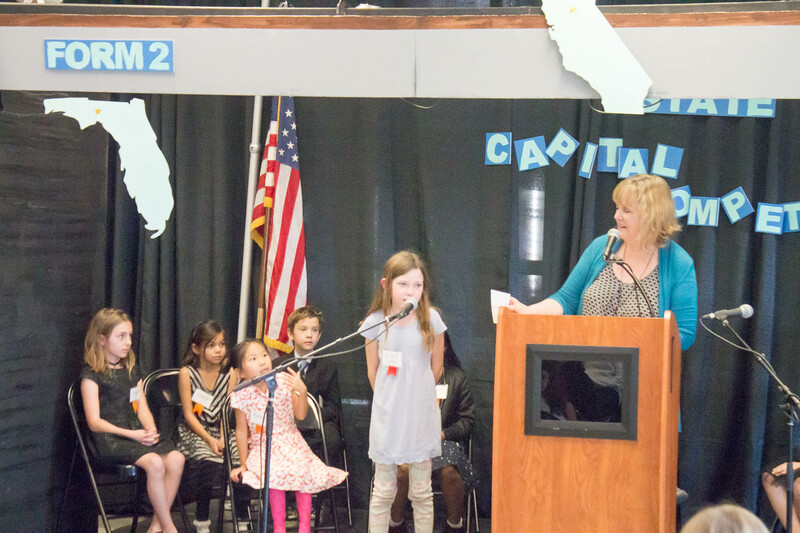 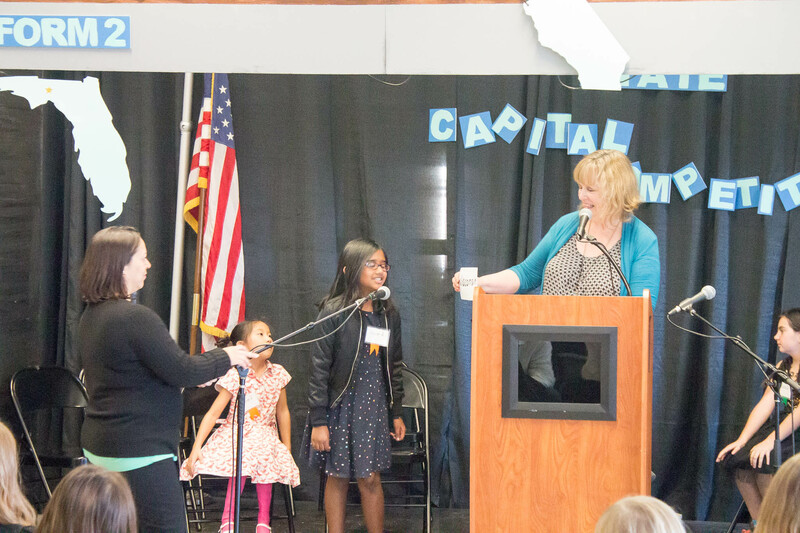 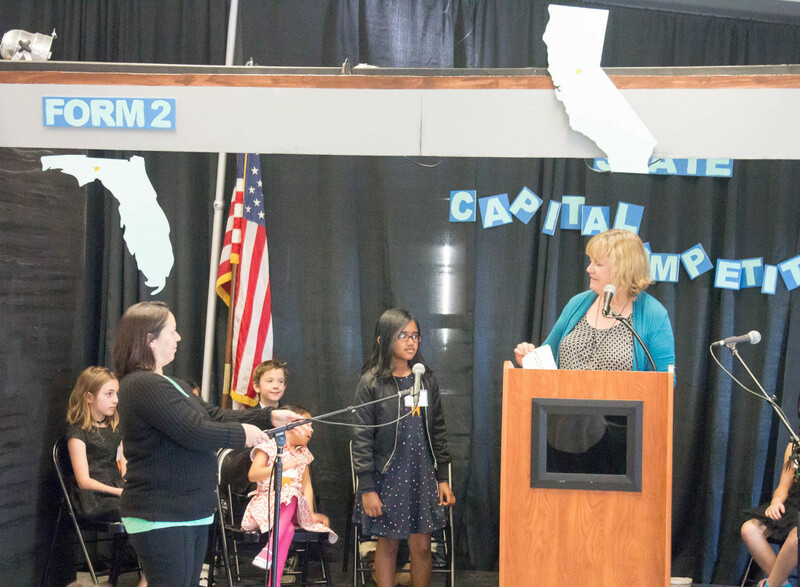 Last week, students aged 7 to 10 competed in Delphi LA’s First Annual State Capital Competition! 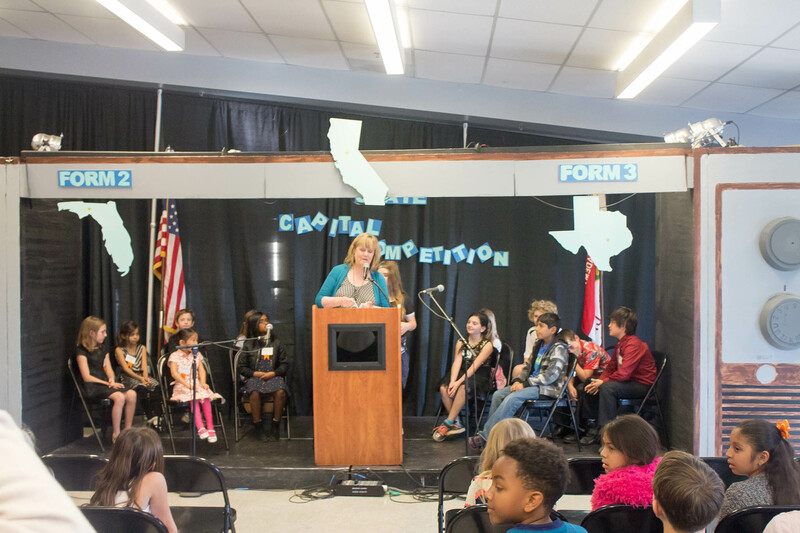 These 3rd – 5th grade students worked hard for several weeks, practicing with each other on all 50 of the state’s capitals. 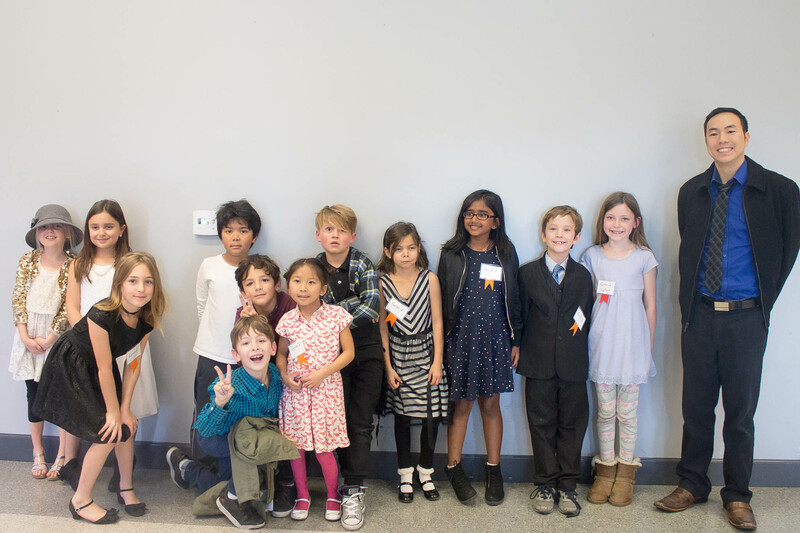 The students then voted for the top 12 students to form 2 teams to represent them in the competition, creating the Orange Team and the Green Team. 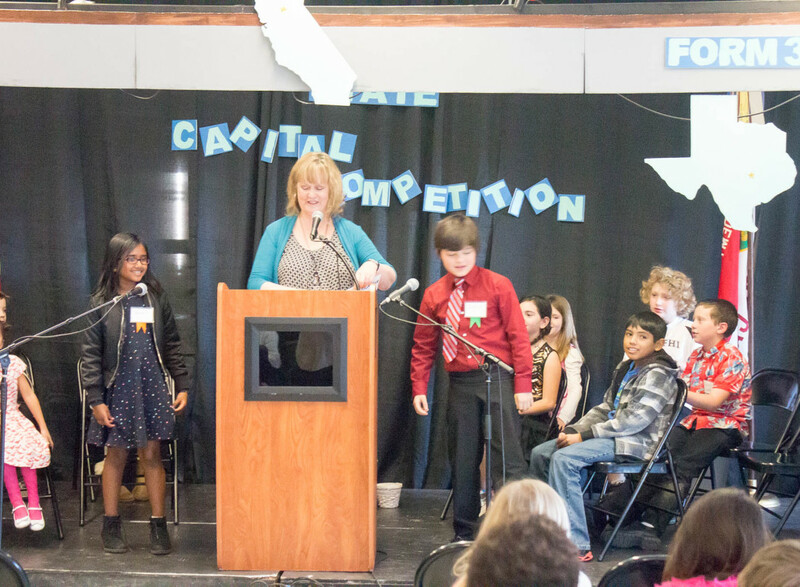 During the fierce, head-to-head competition, these students showed that they knew their stuff! 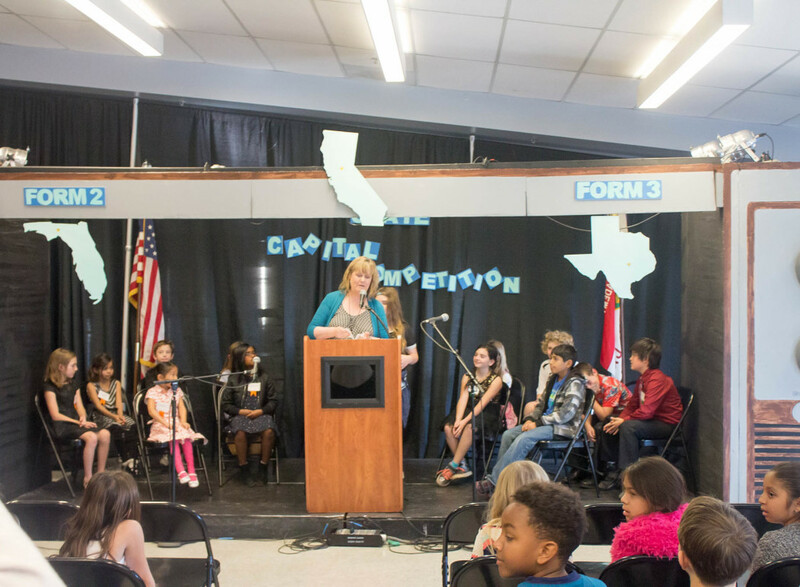 As the competition wore on, the moderator, Elementary School Director Nancy Smith, even tried to switch it up and ask for the states that go with each capital. 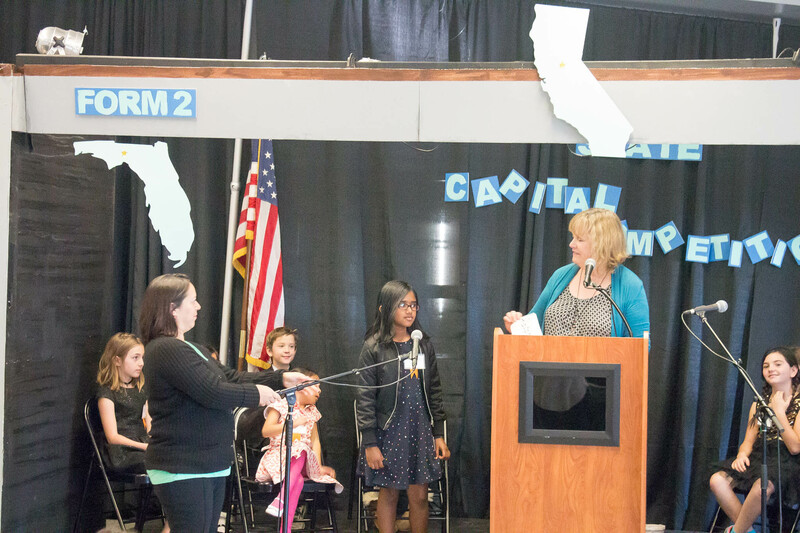 But alas, the students knew their state capitals forwards and backwards, resulting in a standoff. 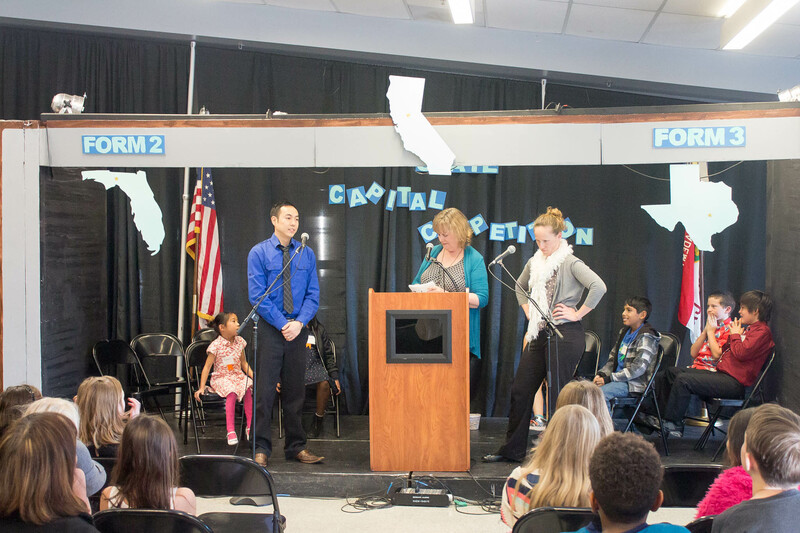 With two Orange Team members, and four Green Team members left, Mrs. Smith invited each team’s teacher up on stage for an impromptu lightning round – Orange Team’s Mr. Youn vs Green Team’s Mrs. Watts. 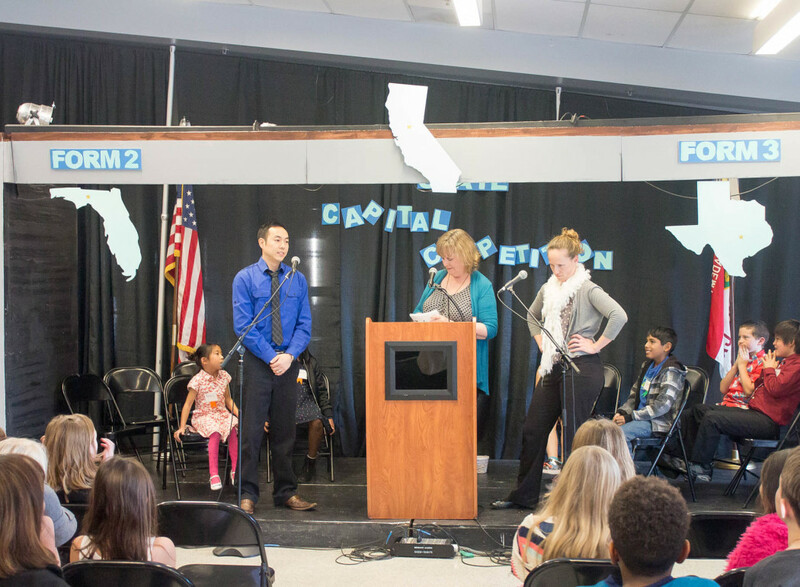 Each teacher answered questions in a heated battle, until only one was left standing! 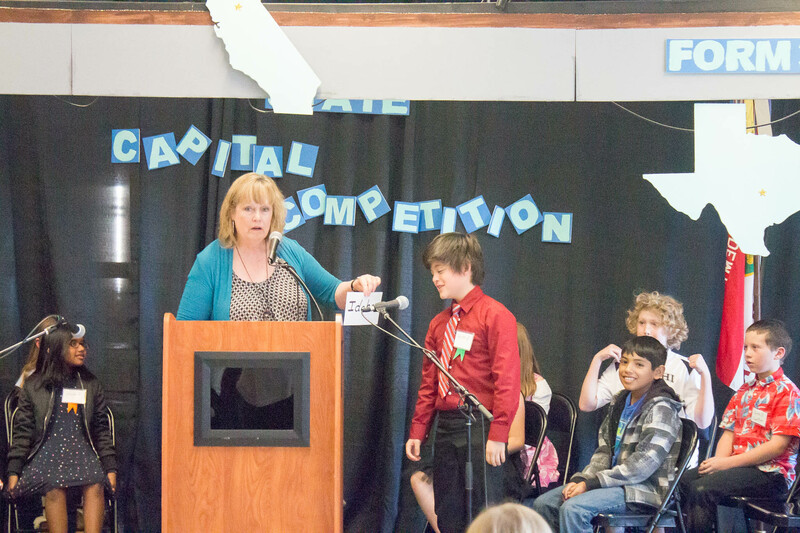 Orange Team’s Mr. Youn won the lightning round, calling an end to the competition. 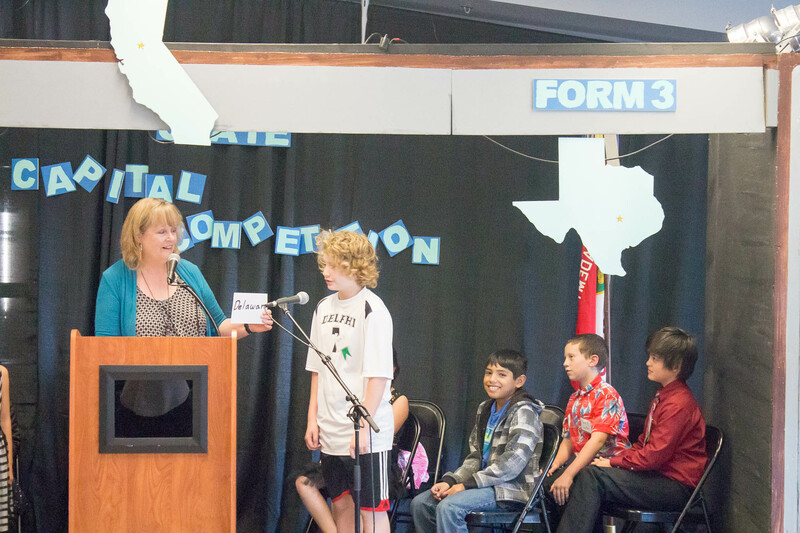 However, it was Green Team who came out on top with 4 teammates still standing, and they were proclaimed the champions! 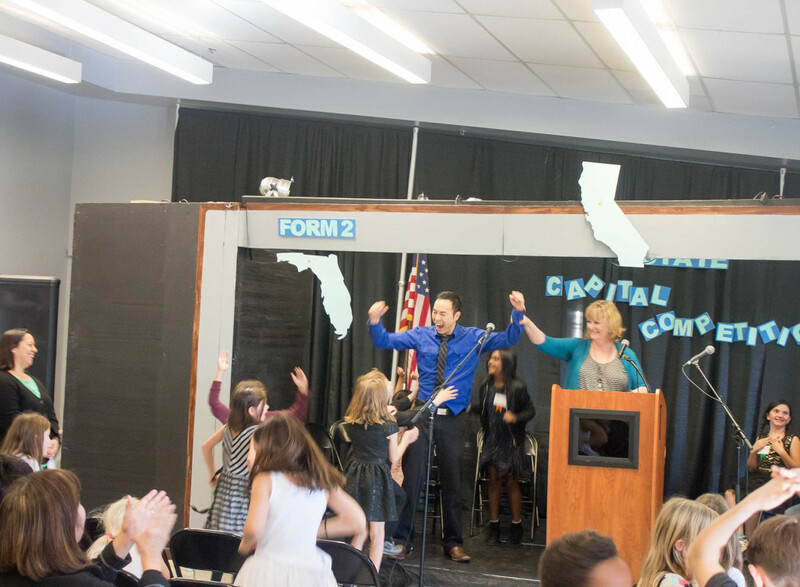 Annual Winter Holiday ShowMusic Café 2017!